'Palestinian' terrorists in Israeli prisons, led by convicted mass murderer Marwan Barghouti, are going on a hunger strike starting Monday. In the past, Israel has panicked by releasing terrorists who went on hunger strikes in Israeli prisons to avoid letting them die in prison. 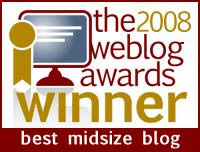 But Barghouti may be too big to let go. 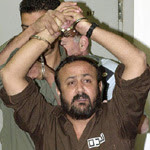 Until his arrest in 2002, Barghouti was the leader of the Fatah Tanzim terror organization that carried out many of the most murderous attacks of the Second Intifadeh (2000-04). He was convicted of five murders in 2004 and has been in an Israeli prison ever since. Barghouti is also regarded as a rival and possible successor to 'moderate' 'Palestinian' President Mahmoud Abbas Abu Mazen since he is allegedly even popular among Hamas supporters. But not all the terrorists are going on strike. Hopefully, this time, Israel will not force feed the 'prisoners' (as it has been forced to do by its 'Supreme Court' at times in the past). If they want to starve themselves to death, let them. This isn't about prison conditions. It's about politics. As usual with the 'Palestinians,' things aren't quite what they seem, as you can see in this series of tweets from Israel Radio's Gal Berger (translation follows). Marwan Barghouti sent secret messages to the Hamas leadership outside the mail calling on them to pressure Hamas prisoners in jail to join the hunger strike that he plans to lead starting tomorrow. Hamas announced that it will support the strike and that Hamas prisoners in the Hadarim jail will join it, but did not announce general participation of its prisoners in all prisons in the strike. Barghouti expects Hamas' leadership to join the strike later after it gathers volume. It's estimated that in the First Phase more than 1,000 prisoners will participate; not all of Fatah's prisoners are participating. The added emphasis is mine. Note that Hamas is really taking a 'wait and see' attitude, and that not even all of Fatah's terrorists - to whom Barghouti technically belongs - are joining in. (Wholly apart from everything else he is) I have read that a decade ago, Barghouti was adamantly opposed to the rampant corruption in the PA.
Is, or was, that particular point correct? I also say אמן to them achieving their desire to be a martyr for alla. Why was this Murderer allowed to send out secret messages???? Is there a punishment for him and for the prison authorities who allowed this? What about no contact to the outside world for 6 month!! The New York Times, the self appointed 'gold standard' for journalism, just published a convicted mass murderer of Jews' long antisemitic hate screed on their op-ed section. We can now confidently ignore whatever it has to say on any topic from now on and the state of Israel should seriously consider tossing them from operating in Israel. They can certainly base their operations from Gaza or Ramallah and who cares.
. Probably can't keep the Supreme Court out of it, but try. The policy of the New York Times should not come as a surprise to us, nor should that of our own HaAretz, founded 99 years ago today with the name "News from the Holy Land". What continues to surprise us is OUR enabling these mass murderers to have open access to the outside world, and especially to the international press. Will 'wonders' never cease? Put them in Solitary Confinement and cut off the Food, Water, TV and lights for 2 Days. Have Body Bags in front of every hunger striker and tell them they will die in Solitary with no one will know what happened to them. Dig a Mass Grave in the Prison Yard to bring the point to them. If Israel's Supreme Court orders them force-fed, make certain it's something from the Hormel product line.